Biosis 42: Weston Price's Root Canal Research, Dental Implants & More - Gary M. Verigin, DDS, inc. Gary M. Verigin, DDS, inc. 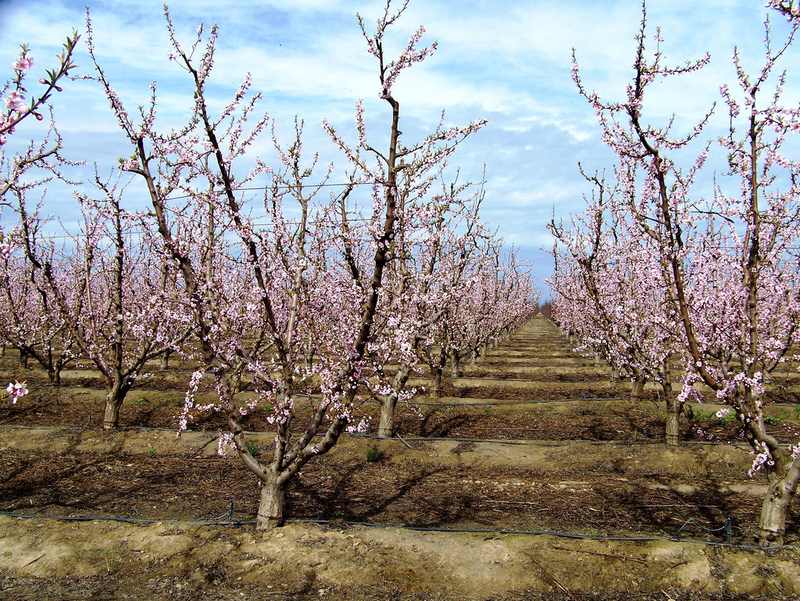 The fruit and nut trees are blossoming. Birds are singing, and butterflies are flitting about. Kids are outdoors more, playing. Yet this promise of spring comes with the very real challenges we face. You can’t read or hear the news these days without frightening talk of the damaging drought we’re in. Though as I write this, a lot of welcome rain is said to be on its way, it won’t be nearly enough to make up our water deficit. With sun and water and care, our fertile California soil can produce abundance. This drought can remind us to never take this for granted. And it may lead us to focus more fully on what part we each might play in the judicious use of all of the gifts on our planet. It has been shown over and over and over that when humans work together toward positive goals, we can achieve magnificence! Now is the perfect time to refuse to give in to worry and instead work together to become better stewards of nature’s gifts. Today, I am planting my flowers and sowing my seeds. I am also learning new ways to use less water and still add the incredible beauty of nature to my world. In what ways do you try to be a good steward of the earth? Share your ideas and stories with us on Facebook or tweet them to us @biodentalhealth. As Dr. V likes to say, the best teeth are the ones you’re born with. No restorative material can compare. Sure, there are plenty of good options for when a tooth must be repaired or replaced. But no dental restoration or prosthesis can last forever. Your natural teeth – properly taken care of – can and should (barring accident or injury) last a lifetime. 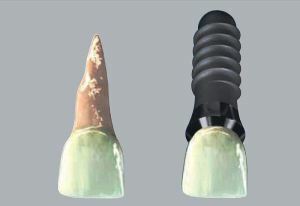 According to the study, published recently in JADA, the 15 year loss rate for implants may be as high as 33%. For natural teeth? At most, 13.4%. Failure, however, may be the least of concerns when it comes to implants. Of course, part of the survival rate for natural teeth also depends on their overall condition. The loss rate of “questionable” teeth can be nearly as high as that of implants and even higher for “hopeless” teeth in patients with chronic or aggressive periodontitis (advanced gum disease). But even these teeth may be retained with adequate care. The results of this systematic review show that implant survival rates do not exceed those of compromised but adequately treated and maintained teeth, supporting the notion that the decision to extract a tooth and place a dental implant should be made cautiously. Even when a tooth seems to be compromised and requires treatment to be maintained, implant treatment also might require additional surgical procedures that might pose some risks as well. This recommends a conservative approach. First, do what you can to improve the health of the tooth and supporting structures. If that fails, extraction may be the best option. Every week, we get calls from people who desperately want to know if we remove root canal teeth. They say that somewhere on the Web, they’ve read that having those teeth removed may relieve their symptoms of MS, Parkinson’s, Alzheimer’s or any number of other chronic, degenerative diseases. To be honest, it can sometimes sound like they’ve just heard Chicken Little holler that the sky is crashing down. For more often than not, they just haven’t investigated the issue very thoroughly yet. They’ve read or watched video by so-called experts who may refer to George Meinig’s Root Canal Cover-Up, whether they’ve actually read the whole thing or not, let alone Weston Price’s two volume opus on dental infections and systemic disease. discovered a wide variety of degenerative diseases to be transferable to rabbits, such as endocarditis and other heart diseases, kidney and bladder diseases, arthritis, rheumatism, mental diseases lung problems, pregnancy complications, almost any degenerative problem – and after extraction of these teeth, a large percentage of patients recovered from their illnesses. Clearly, root canals alone are not the issue. There are other factors at work. A closer look at Price’s 25 years of research and ultimate conclusions casts further light on what those other factors are. Even in his day, Price was known as a world-class dental research specialist. (He’s also known as the Charles Darwin of Nutrition, but that’s another story for another time.) He was so highly regarded by his peers that in 1915, he was appointed as the first research director of the National Dental Association – the group that would, just a few years later, change its name back to the American Dental Association (ADA). By this time, he had already published 150 scientific articles in dental and medical journals, many of them on his research on root canal teeth. 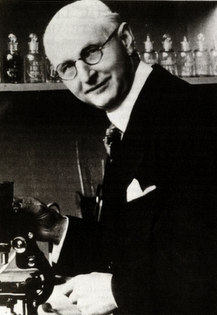 He was also well versed in the work of the noteworthy scientists on focal infection theory – William Hunter, Frank Billings, Milton Rosenau, Martin Fischer and others. From their work, Price knew that up to 33% of all diseases had at that time been linked to pre-existing dental infections. Besides being Research Director, Price was also president and managing director of Cleveland’s Research Institute, where he presided over a team of 60 fellow scientists. His most trusted researchers and confidants were an advisory board of 18 leading researchers across multiple disciplines – microbiology, histopathology, general pathology, physiology, physiological chemistry, zoology, cardiology, serology and more. Each member was a brilliant pioneer in his own right. In addition to Billings and Rosenau, the most illustrious on this board included Dr. Charles Mayo, Dr. Thomas Forsyth, Dr. Truman Brophy, Dr. Louis Ladd, Dr. Frank Lillie and Dr. Walter Garrey. Price jealously selected research scientists with whom he could have the closest cooperation possible, whose exclusive attention to detail would be concentrated on the work at hand, without the possibility of distraction or conflicting purpose. Their studies involved about 2000 patients and experimentation with at least 60,000 rabbits. Price – who spent his mornings engaged at the Research Institute on Euclid Street and afternoons seeing patients in his own office – expressed compassion and gratitude for both his human and animal subjects. Why so many rabbits? Price was meticulous in his research. He wanted to make sure his results were valid and avoid misinterpretation. His tests were often repeated, and he used a great variety of scientific methods to both demonstrate and accentuate the thoroughness and importance of his efforts. His experiments famously involved implanting infected teeth under the skin of rabbits, but he needed control experiments first – something to measure outcomes against. So he began by implanting sterile coins, glass and other foreign objects. The only apparent effect was the formation of a somewhat clear, “cyst-like covering” around each object. Over the course of 100 tests, this covering was always found to be sterile. Next, he implanted samples of healthy teeth that had been removed from orthodontic patients. Again, the response was the same: the formation of a cyst-like covering around the tooth. It was the same whether the tooth was implanted just under the skin or embedded in muscle tissue. No reaction was observed, no matter how long the teeth remained embedded. The rabbits lived full, healthy lives. In those cases – when no capsule formed – the rabbits usually died within a day to a few weeks. Most died within just 6 days. When a capsule did develop, the rabbits generally lived for several months to a year. Often, they showed no evidence of injury. 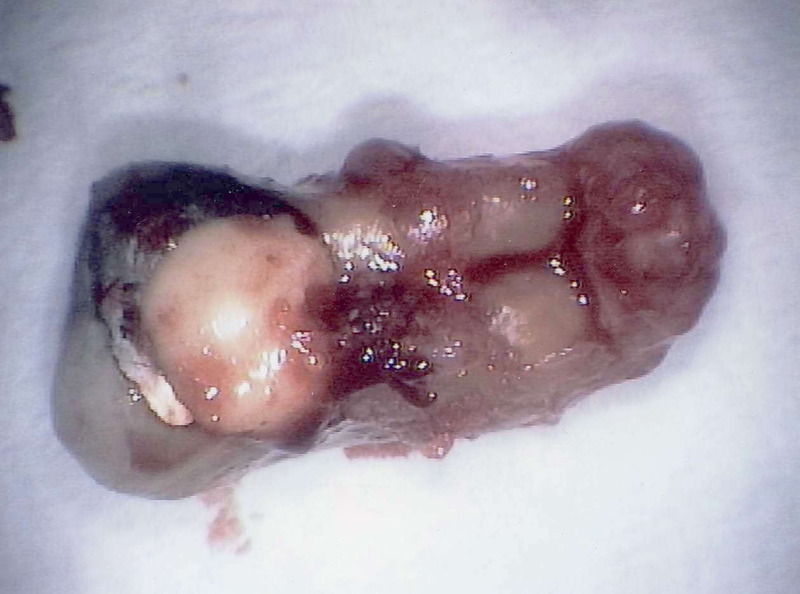 They did develop degenerative diseases, usually of the heart or kidneys. Price also observed that, invariably, the capsule would begin to absorb the tooth, as if to get rid of it. Whenever one of the rabbits died, Price would retrieve the tooth, wash it with pumice, then implant it into another rabbit. Some experiments, he’d repeat the process 30 times with the same tooth. Thirty times, the lab rabbit died. These deaths cast light on a critical point. Going into the experiments, it was assumed that the toxic load would be reduced with each cleaning and transplant. As the toxins diminished, each rabbit, Price theorized, would live longer than the ones before it. Yet all but one died within 6 days; the one that didn’t lived for 10. Clearly, it was not the microbes themselves that caused the rabbits to die; it was their toxic byproducts fueling infection. This was borne out by other tests, as well. For instance, in one case, Price retrieved the root canal sample from a rabbit that had died, boiled it for an hour and then let it return to room temperature before implanting it in another rabbit. Encapsulation took place within two weeks and the rabbit lived for 22 days. In a similar experiment, he took tooth fragments that had been implanted in several rabbits in succession and autoclaved them at 60 pounds of pressure for one hour before implanting them in a rabbit. It lived 35 days. Autoclaving infected fragments at 300 pounds for two hours changed nothing. The next rabbits into which they were placed all developed encapsulations but did not survive, disproving Price’s hypothesis that sterilization would make the teeth as safe as healthy ones. Repeatedly, his tests showed that the toxins generated by the microbiota were much more lethal than any direct action of the microbes. Price’s experiments with mice are also fascinating – and perhaps even more telling, as mice are biologically closer to humans than rabbits and have a somewhat more robust immune system. And these tests involved more than just implanting teeth and observing responses. Price nutritionally altered their diets, as well. Mice that were given a diet deficient in minerals took about 40 days, on average, to expel the infected tooth that had been embedded under their skin. Those that were given a nutritious, mineral-enriched diet needed only 6 days to accomplish the same task. His conclusion? The environment in which the tooth is placed – the “soil,” so to speak – matters greatly. Our bodies are not designed to eat the kind of highly processed products sold by the giant food corporations, nor the synthetic chemical residues that cling to industrially raised produce, meat and dairy, nor genetically engineered foods that would never have developed in nature without human help. While the specifics of any one person’s diet may differ, all healthful diets have one thing in common: Whole and minimally processed foods are the foundation and bulk of it. This is what we’re talking about when we talk about “real food” – the sustenance we need and deserve. 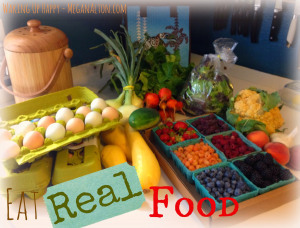 Real food is bigger than just the food itself. Our local and global economies, our environment, our health and our well-being all depend on sustainable, whole foods. “The time” for change “is ripe!” say the folks at Real Food Challenge. “The situation is dire, as environmental degradation, corporate consolidation, homogenization, and alienation become the hallmarks of our food system.” Real food is a route to the change we need. Corn was my Waldo, popping up everywhere: in tea bags, juice, and cheese culture; it lined my ‘to go’ coffee cups and plastic bags of frozen vegetables; it coated my store-bought apples and was on the bottom of restaurant pizza—almost everything my family used, no matter how piously natural and organic, had corn in it. Soya is also quite prevalent in American processed food, so the transfer from known allergens like nuts to non-allergens like soybeans is likewise a real concern for many. And with allergies, it’s not just about GMOs. A recent study found that certain pesticides encouraged allergies in some consumers. Eat real food to avoid being a lab animal! Forms of infertility, issues with insulin regulation, and immune problems are all associated with GMOs. The most worrisome part about GMOs’ effects on our bodies is we don’t know them all yet. We can’t know. Eating non-organic, processed food, we are part of the grand experiment. We are the guinea pigs. Organic foods may be healthier. You may have heard on NPR that organic foods may not be healthier – a story that was held up as an I-told-you-so for industrial food manufacturers. Their gloating was a bit premature. As the story itself noted, the studies they looked at “only followed people for a very short time — about two years or less. That’s hardly enough time to document any particular health benefit.” Further, the goals of at least one of the studies have come under suspicion. An earlier study out of Newcastle University presents quite different results – as do others before and since. [Editor’s note: Just this month, a new study gave “the most clear-cut instance of an organic food’s offering a nutritional advantage over its conventional counterpart” – in this case, whole milk.] Even if future research proves otherwise – that organic food is not nutritionally superior – it still has the benefit of being free of conventional pesticides and other chemical residues generated by industrial agriculture. Organic farming is efficient. You often hear people argue that conventional farming is that it is more efficient than organic farming. In reality, while organic farming may be more labor intensive, research has shown it capable of producing as much if not more food than conventional farming. Real food tastes good. Picture an apple, picked from a tree around this time of year. The tree is untouched by pesticides, and the only thing on the apple is fresh dew. There may be some brown spots—evidence of life enjoying what you know to be good, but that life is gone now. At the moment of harvest, it’s just you and the apple. Besides the brown spot, its skin is red with hints of green fading. You fancy you can smell it before you bite into it. Then you do bite and hear the crunch. You feel the crispness between your upper and lower teeth. The apple is tangy but sweet. The fruit is so juicy that some of runs down your chin. Real food is good for your teeth. Biting into whole foods—not softened through processing—gives your teeth a work out. Fresh vegetables, fruit, seeds, and nuts give your teeth the workout they need. Just ask this guy. dental caries and deformed dental arches resulting in crowded, crooked teeth and unattractive appearance were. . . a sign of physical degeneration, resulting from what he had suspected-nutritional deficiencies. In other words, good food promotes good teeth (and jaws). As a result, he became champion of whole, nutritious foods in place of the refined diet of white flour, convenient foods, and sugars of the American diet.